If there is a silent and shrewd killer among all of the parasites that might be damaging our belongings and deteriorating our health at the same time, it would have to be mold. While other parasites have a distinct odor, mold and mildew do not have any. Mold especially, appears in places where we don’t even think to look. They can cause highly serious health issues like respiratory difficulties. If you have consistent asthma or breathing problems that just won’t seem to go away, then maybe it is time you got an air purifier to get rid of the mold. Air purifiers for mold can help a great deal in driving them away. To help you decide which one to buy, here are the top 5 air purifiers for mold. 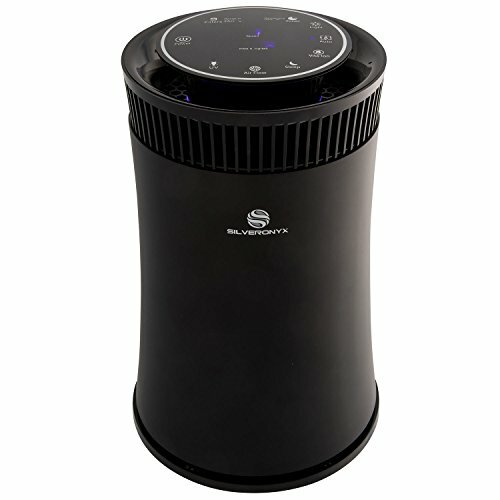 This is a full-fledged high-quality air purifier system that comes with a filtration system that has 5 levels. Created by SilverOnyx, this air purifier uses the true HEPA H13 air filters that effectively capture 99% of dust and allergens, even the smallest ones, up to 0.3 microns. 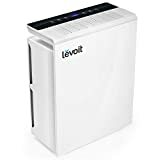 This is a super-efficient air purifier that uses a high-quality brushless DC motor and true HEPA H13 air filters that helps to capture almost 99.99% of dust and allergens, as small as up to 0.03 microns. This means it captures the finest of dust particles, any pet dander, smoke etc. 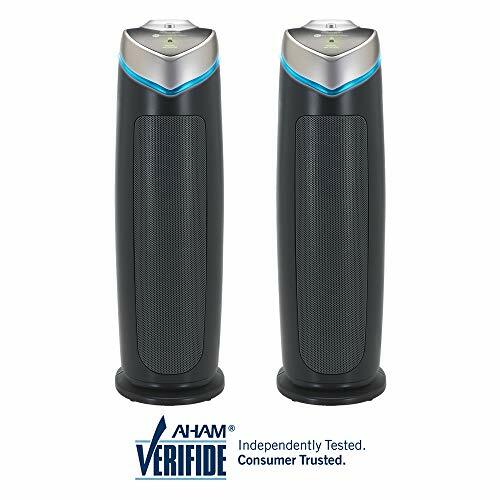 Other than that it has a 5 level air filtration system that includes a mesh cartridge pre-filter, the H13 HEPA filter, activated carbon as well as a UV-C light and ion generator, all of which work together to release the cleanest air. Since these involve three of the best air purification technologies, it is guaranteed to relieve you of your dust and allergy problems. Apart from all of these, it also features a PM2.5 sensor which is meant to particulate matter present in the air and adjusts air flow in order to provide the best air quality. It can be used effectively in small to large rooms of up to 500 square feet. It is available in 3 colors and is quite simple in design aesthetics. 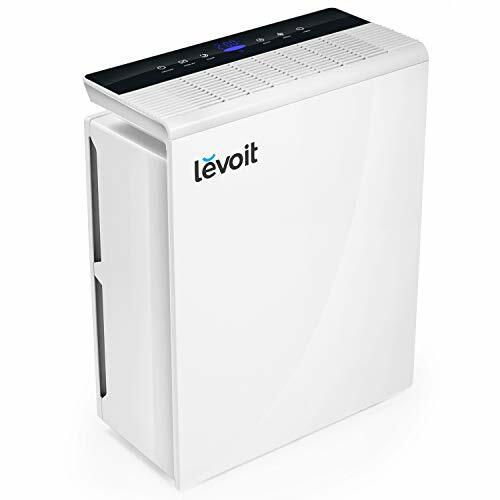 This is a high quality air purifier that uses true HEPA H13 air filters, created by Levoit. Unlike its SilverOnyx counterpart, it uses a three-step air filtration system that includes the pre-filter, the HEPA filters and an activated carbon filter, all of which ensure sufficiently clean air. As is the case with HEPA filters, it removes up to 99.97% of micro dust particles. It also features PM2.5 filtration apart from the 3-step filtration system which aids stuffy nose issues and captures bad odors, cigarette smoke etc., as well. Another major highlight of this air purifier is that it features a smart auto mode that automatically suggests fan speed according to the surrounding air quality. Additionally it has a sleep mode which ensures sound sleep and fresh air as well. However, it can only be used only in rooms spanning up to 322 square feet, which is a little on the small side. Other than that, the air filters need to be replaced every 6 months or sooner, depending on the frequency of use and the general quality of the surrounding air. This is a standard medium-sized air purifier created by The Germ Guardian – one of the experts in the air purification segment. This is a 2-pack air filter combo and it uses the standard HEPA air filters for efficient air purification. As it uses the standard HEPA air filters, it is capable of catching the tiniest of dust particles, pet dander and what not. It also uses charcoal in order to eliminate strong odors. 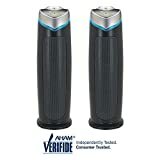 One of the major highlights of the Germ Guardian purifier is the fact that it uses the UV-C light technology along with titanium dioxide that completely kills airborne bacteria, mold spores and germs. It takes the form of a 22 inch tower with 3 speeds and is best fit for medium-sized rooms. 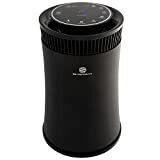 This is another standard medium-sized desktop based air purifier that is ideal for spring time when the allergens in the air are at their max. 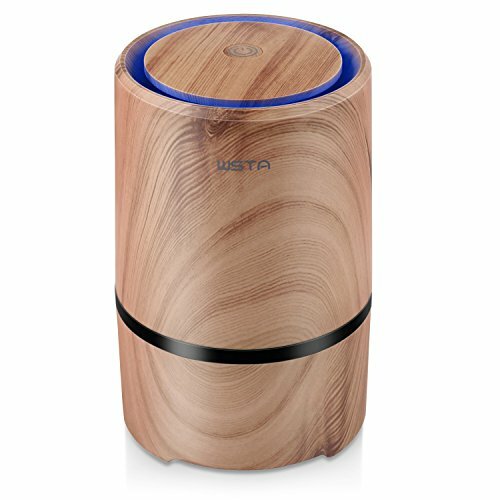 Created by WSTA, it uses standard HEPA air filters that capture even the tiniest of dust particles to release clean fresh air. Its HEPA air filters ensure super clean air free from 99.97% of dust particles. On top of that it can also eliminate formaldehyde, TVOC, benzene and other kinds of smell associated with gases. Its ionizer produces up to million negative oxygen ions which completely purify the air and helps maintain good health. Other than that it also features a one-touch blue LED light which can serve as a soft night light while sleeping. Another one of its major highlights is its 360 degree purification performance which ensures high efficiency along with very low noise and safety. It is also 100% ozone free. It has a unique eco-friendly wood-grain design as well as is easily portable. This is a high-quality 5-step air purifier created by Pro Breeze – another huge name in the air refining industry. It features the pre-filter, the HEPA filter, the activated carbon filter as well as a cold catalyst that results in super clean and refined air. This air purifier is quite heavy duty. 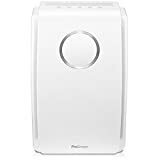 It can be used for even large rooms of up to 430 square feet and has a CAD rating of 2018 which means it offers the twice the level of performance of other regular purifiers. And since it uses HEPA filters, it captures even the finest of dust particles. Other than that it also has standard negative ion generator which further helps to nullify air pollutants. It offers 3 fan speeds along with a sleep function as well as an auto on and off timer feature. 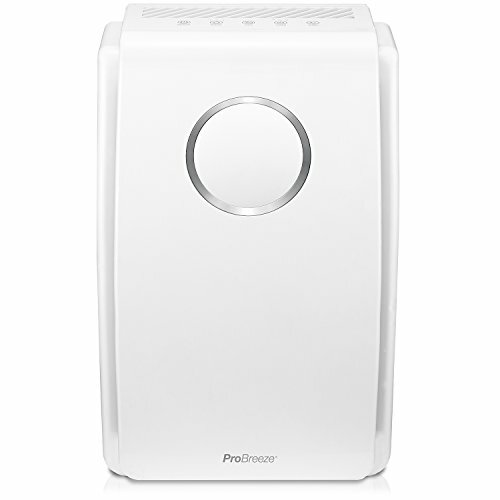 If you are looking for a super-efficient and high-quality air purifier, then the Pro Breeze 5 in 1 Air Purifier would be the best option as it comes with all the essential features for achieving crystal clear and clean air. It comes in a sleek polished design as well and it can be used for large rooms. Hence, it offers the whole package. 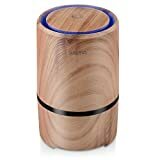 If you are looking for a cheaper option to use in limited areas like your office space or other small rooms, then I would suggest the WSTA Desktop Air Purifier as it comes with sufficient air purification features, except for the plastic wood-grain design. Even though it has only a single air filtration step, it features the 360 degree purification performance which offers high efficiency and less noise. You can easily place it on your desktop and get sufficiently clean air.